Grand Central Publishing, 9780446582360, 352pp. Joshilyn Jackson, a native of the Deep South, has worked as an actor and an award-winning teacher, and is now a writer and a mother of two. She is the author of gods in Alabama; Between, Georgia; The Girl Who Stopped Swimming; and Backseat Saints. Jackson lives with her husband and children outside of Atlanta. Visit her website at www.joshilynjackson.com. "A valentine to the bonds of family!" "[A] warm family story that teeters between emotional highs and lows, laughter and tears. Book groups will eat this up." "A deeply felt, engaging story." 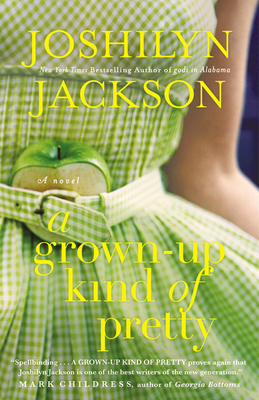 "Reading A Grown-Up Kind of Pretty feels a lot like falling in love: giddy and enthralling and a little bit dangerous. It's a heart-thumping mystery, an edge-of-your-seat drama, and a fiercely sweet comedy all at once, with a fistful of crazy-brave characters who reach from up the wild pages and grip your heart. I loved this book about what it means to be a family for its big heart, its pitch-perfect dialogue and the clever plot twists I've come to expect from Jackson. Book clubs take note: Here's your next pick!" "Madness! Mayhem! Laughter! Tears! Emotional rollercoasters, old lies and an unmarked grave propel the Slocumb women into action. Joshilyn Jackson's signature style explodes in A GROWN-UP KIND OF PRETTY. Buckle up and enjoy!"